Made of sturdy MDF wood and solid wood with nice white finish. 4 real soild wood legs make it more elegant and stylish, and easily compliment many décor designs and room colors, perfectly match your other furniture. 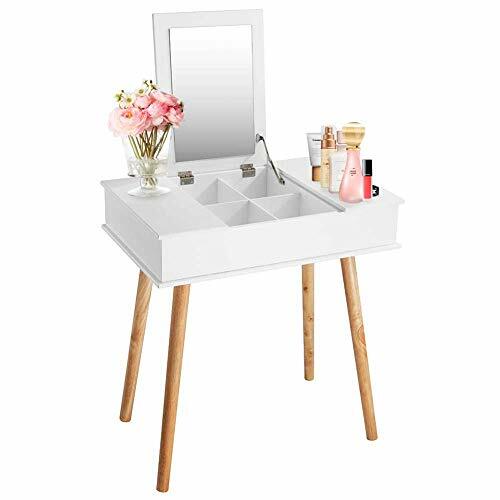 Can not only be used as a makeup vanity with a dressing mirror and so many storage division spaces, but also as an office desk or reading desk if you put the lid down. 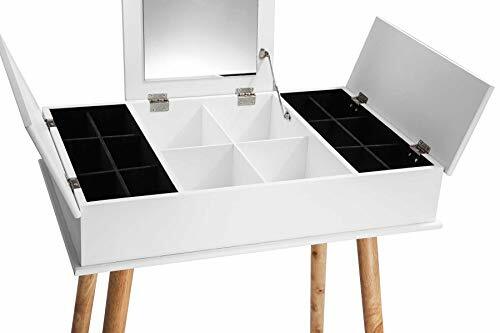 Enough space for your makeups, glasses, nail polish, lipsticks and other accessories. 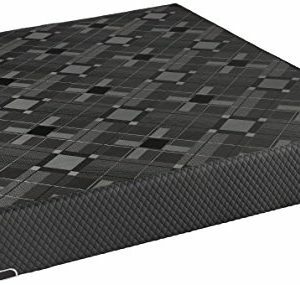 All storage organizers are removable, and the storage organizers on the right and left is mounted black flannel to prevent your jewelry and other important accessories from scratches. Whether it is messy on the table after making up usually ? complain there does not enough space for your jewelry, nail polish, hair accessories and other beauty supplies? Please forget them, Here, all problem could be solved by the help of the vanity desk from Wooden-Life. Why we recommend you to choose Wooden-Life vanity desk for you? – Flip cover design,easy to use. – Made of superior MDF and real soild wood,ensure it is durable enough to use. – Clean look and stylish design enhances the look of the existing furniture collection. – Enough space includes 14 removable compartments for keeping your make up accessories separately,the storage organizers on the right and left is mounted black flannel to prevent your jewelry and other important accessories from scratches. – Simple assembly process, no previous experience necessary. 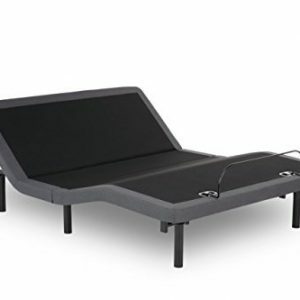 – Can be used as a office desk with storage if you want to. We believe in our product. 100% guaranteed best quality. 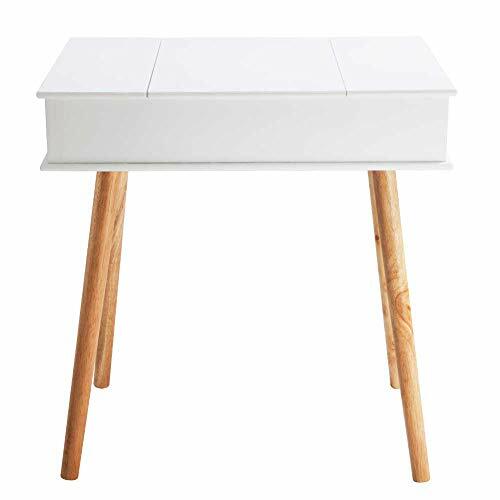 Perfect desk for your home, office or bedroom. Click on the shopping cart at the top of the page to give your girl or your wife a present! 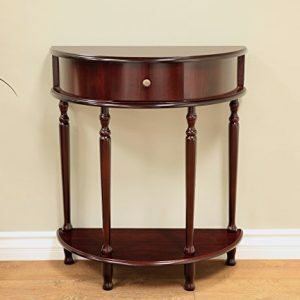 Easy assembly with instruction, and you only need to install the vanity table legs. Instruction and mount accessories are included. Vanity table weighs 30 pounds. Overall dimensions (floor standing): 29.5” X 19.8” X 29”; Mirror dimensions:14.5” X 9.8”; Middle cabinet dimensions:16”x12.5”; Cabinets on both sides dimensions:16”x6”. This would be an ideal gift for your wife, daughter or granddaughter on special days! Every woman is looking forward to get a makeup table like this!